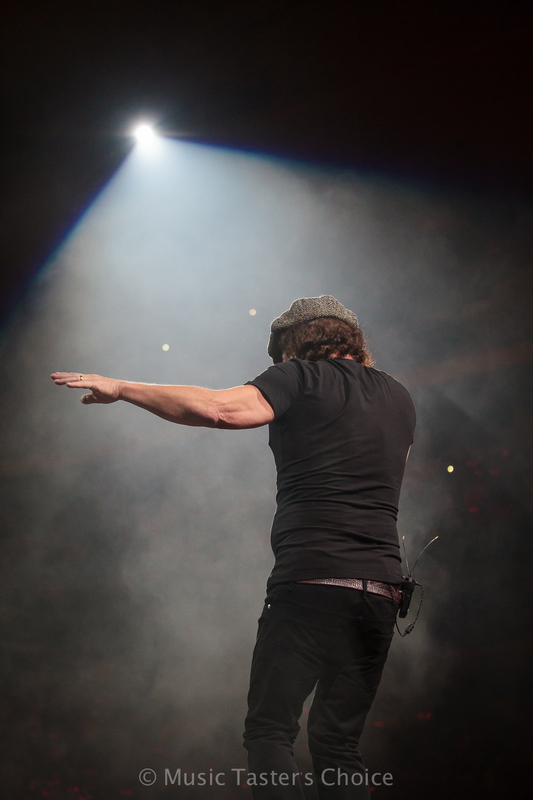 "For those about to rock, we salute you." I don't believe there is a better line that describes what it feels like to watch the iconic Australian rockers AC/DC take the stage. 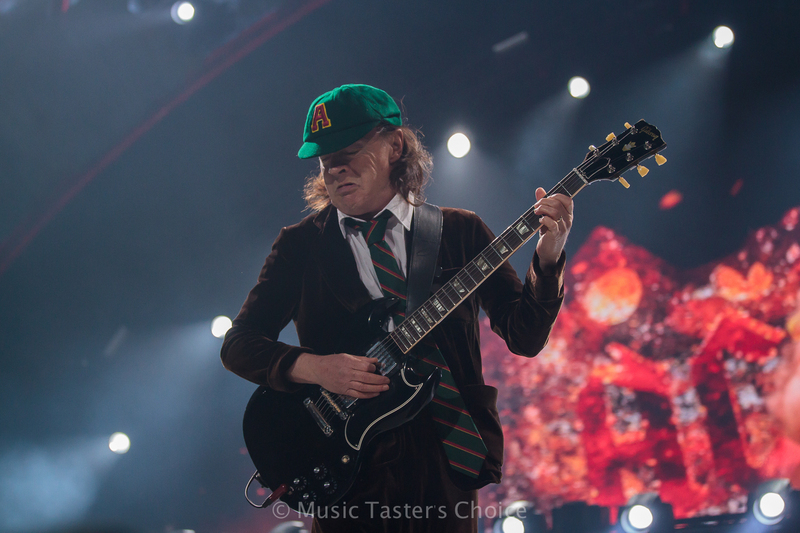 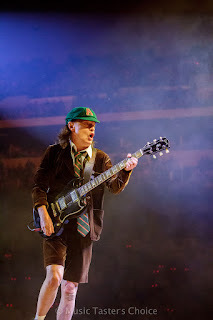 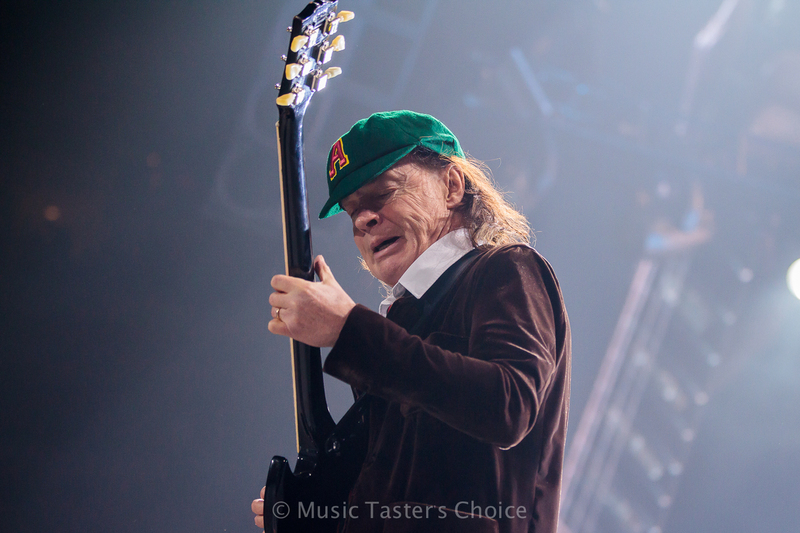 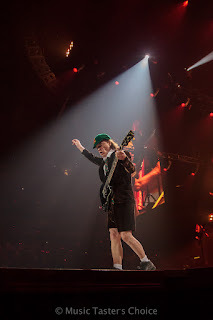 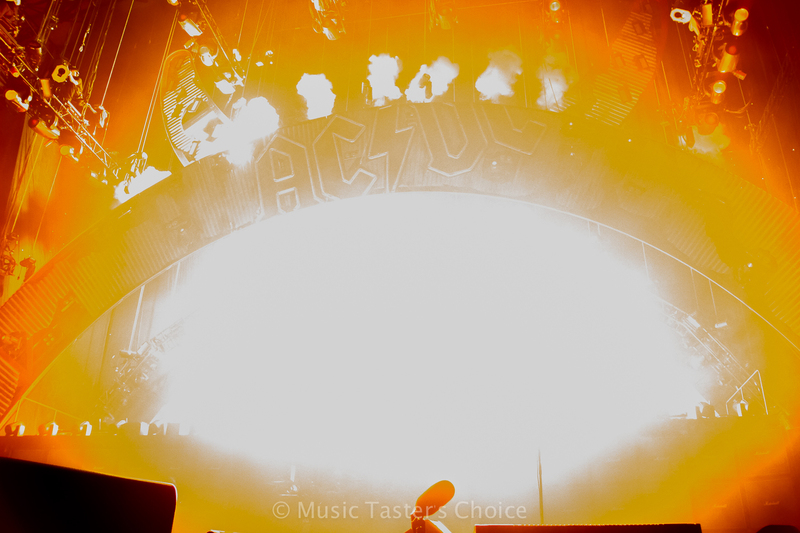 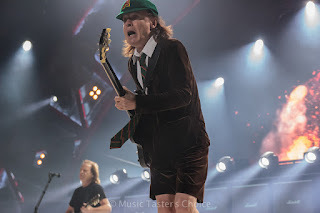 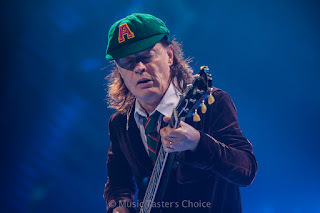 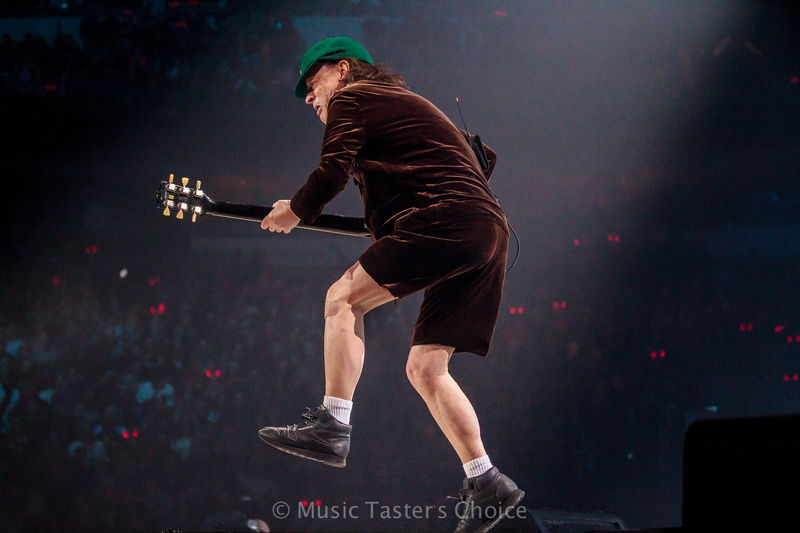 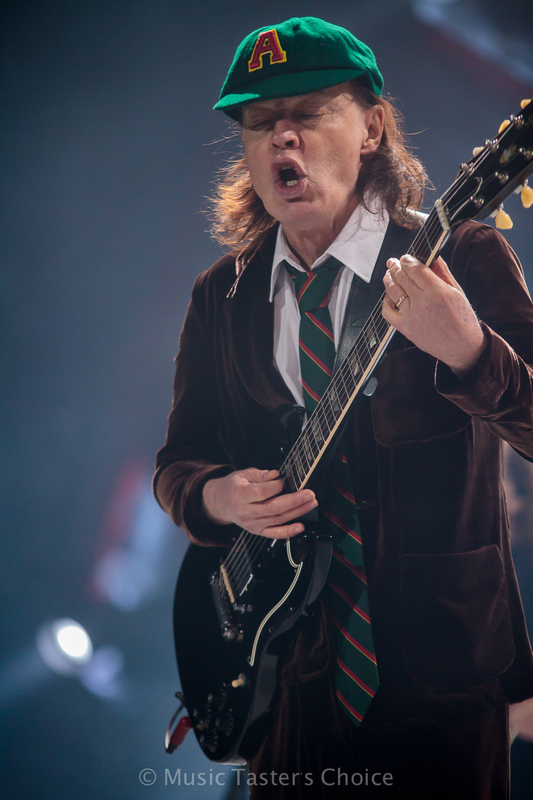 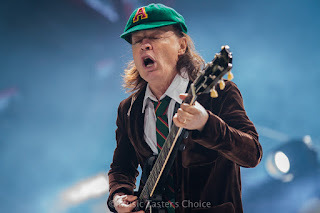 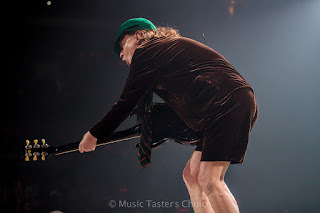 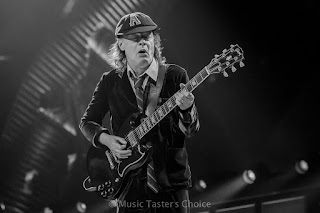 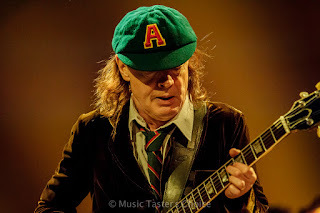 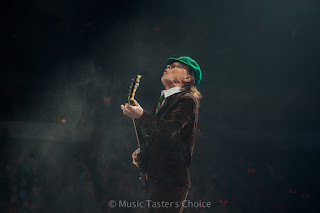 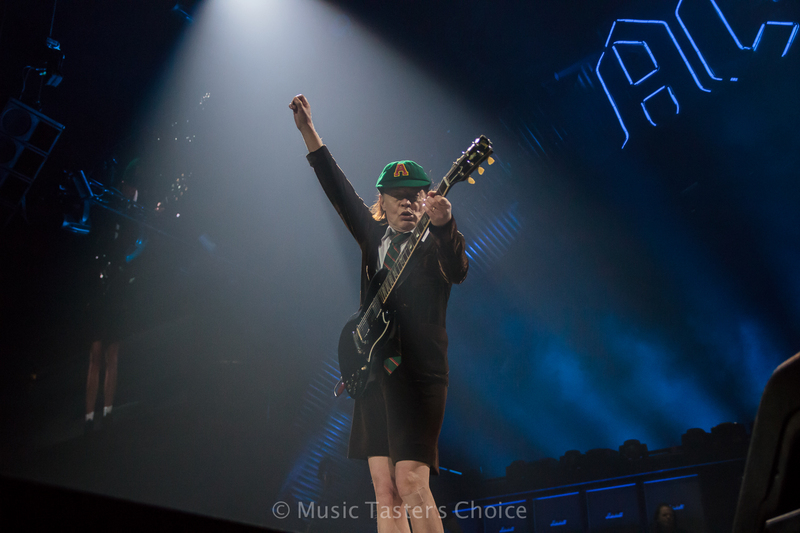 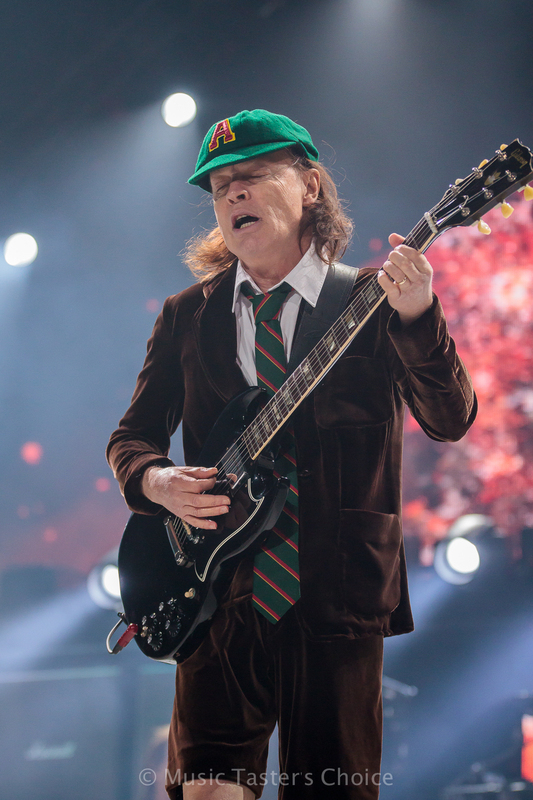 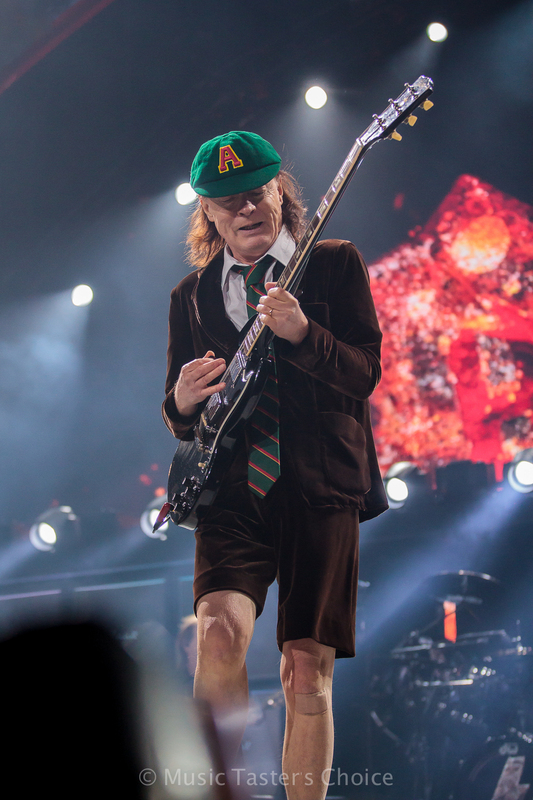 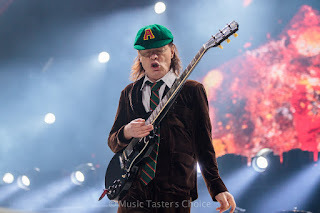 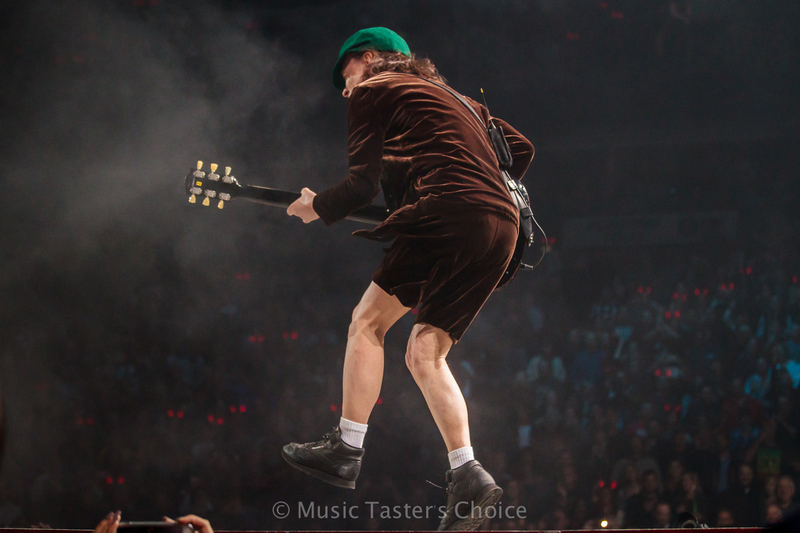 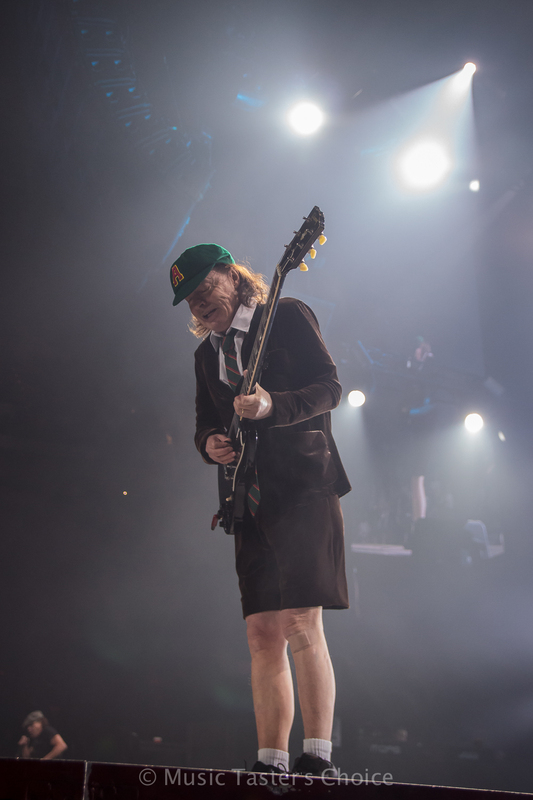 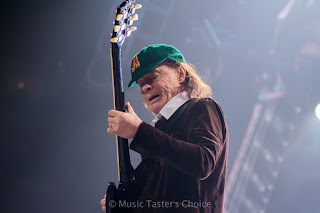 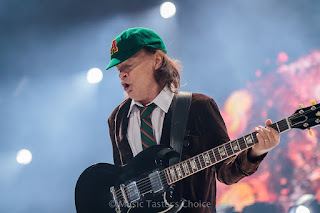 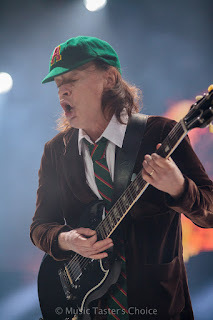 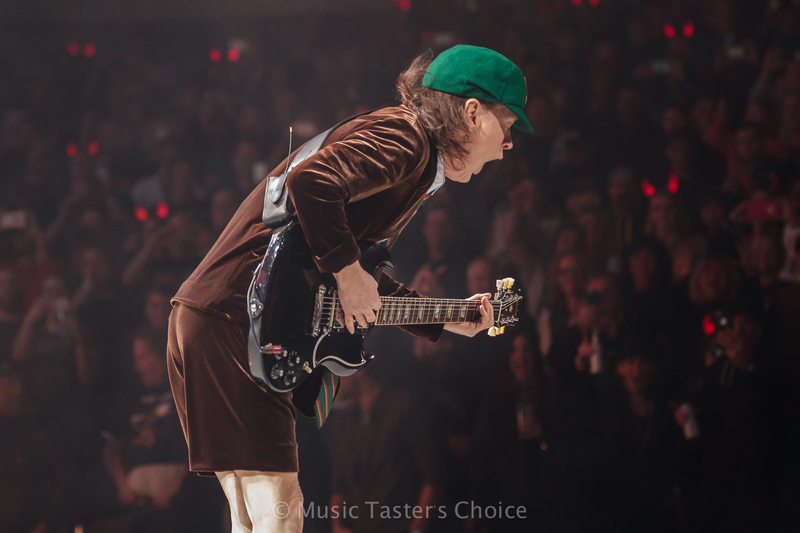 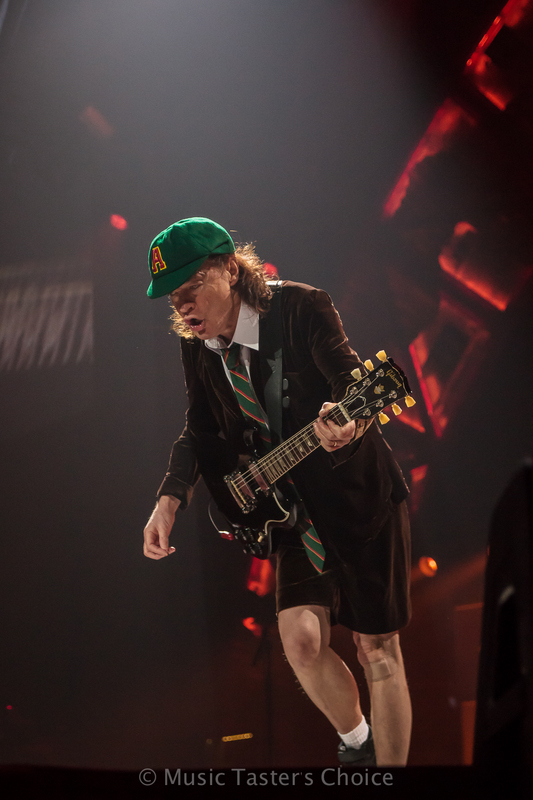 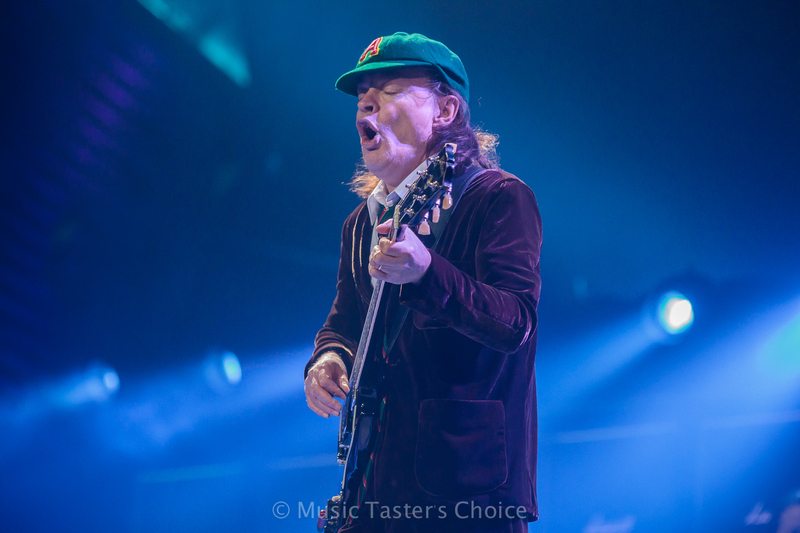 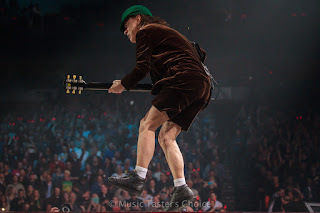 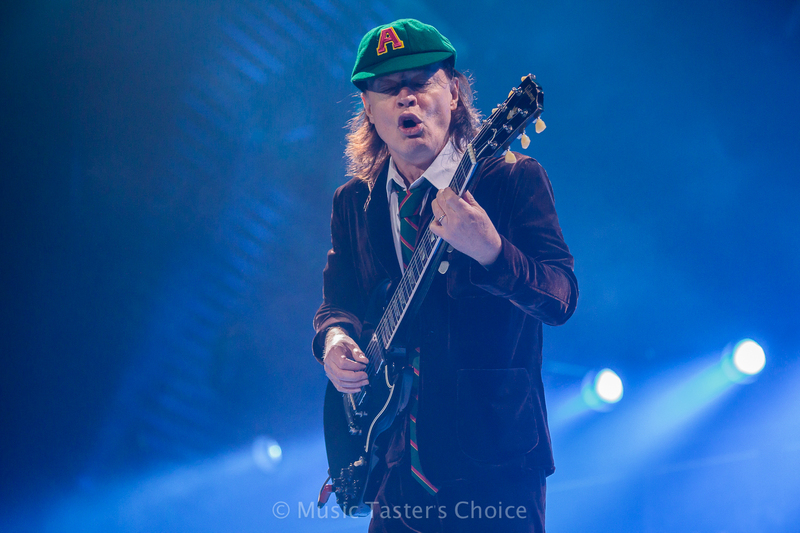 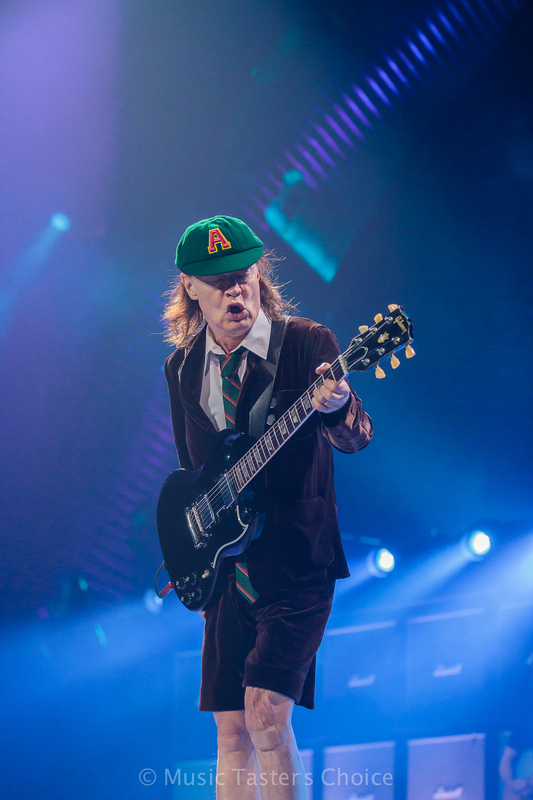 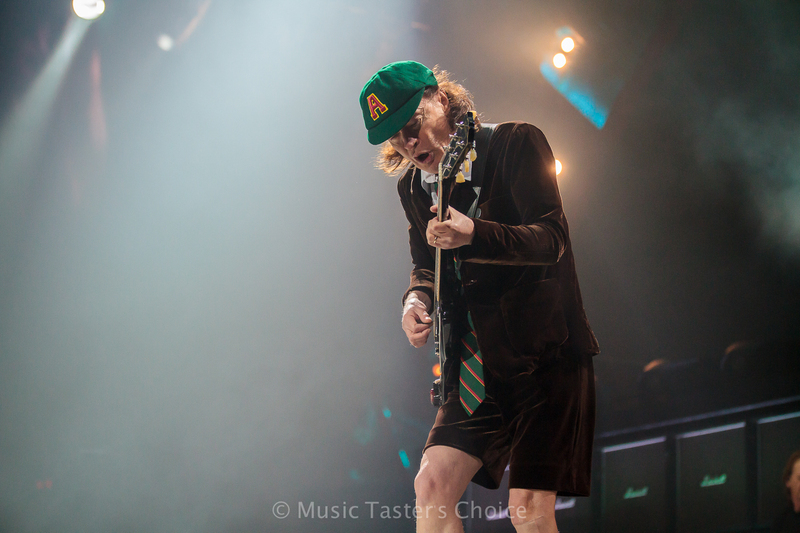 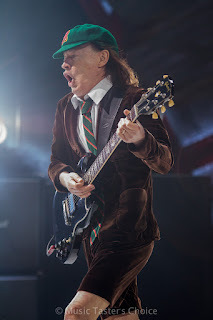 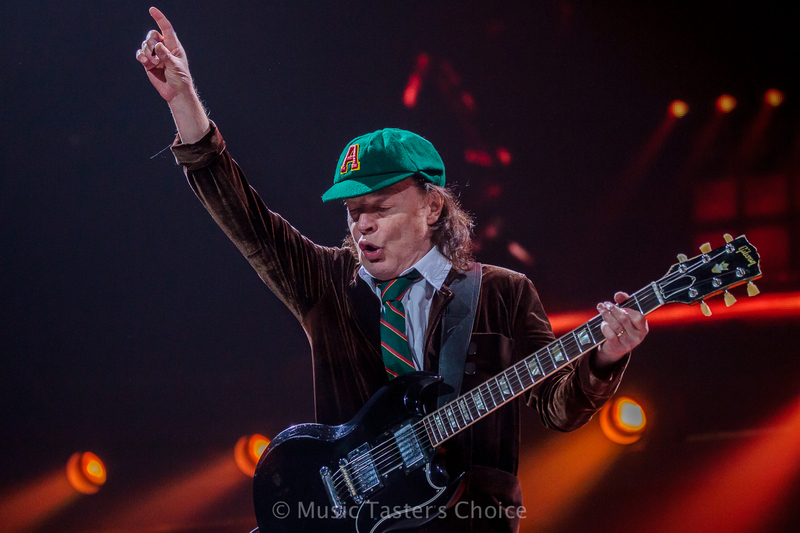 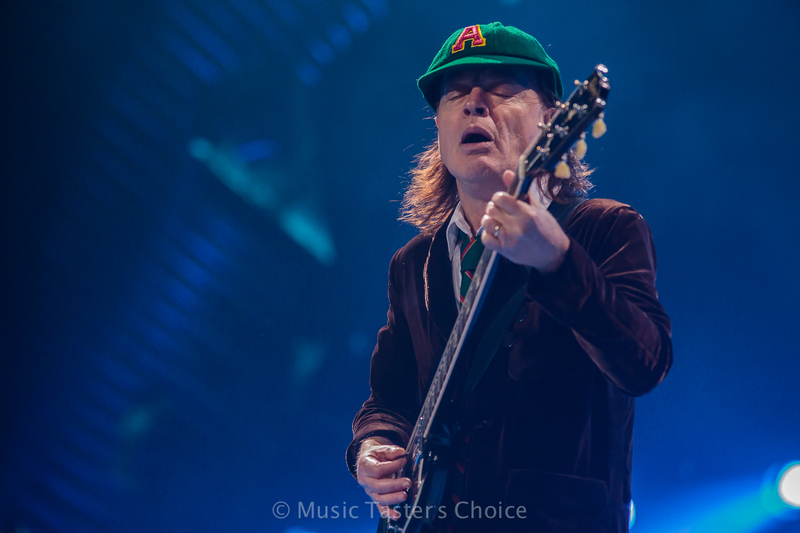 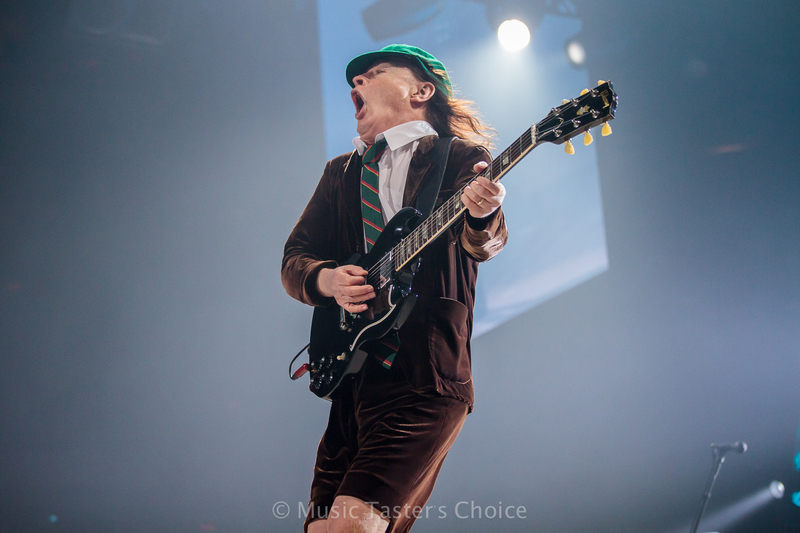 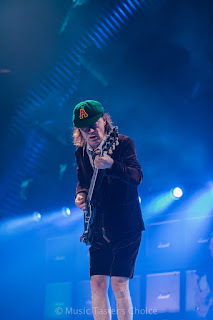 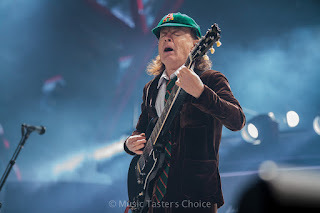 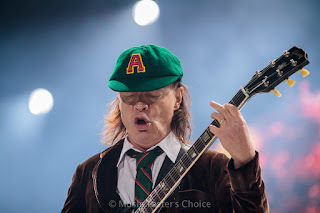 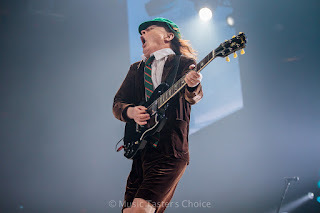 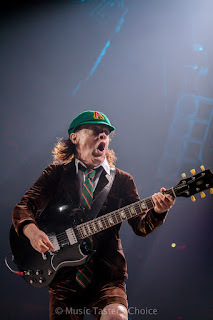 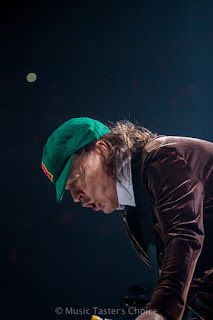 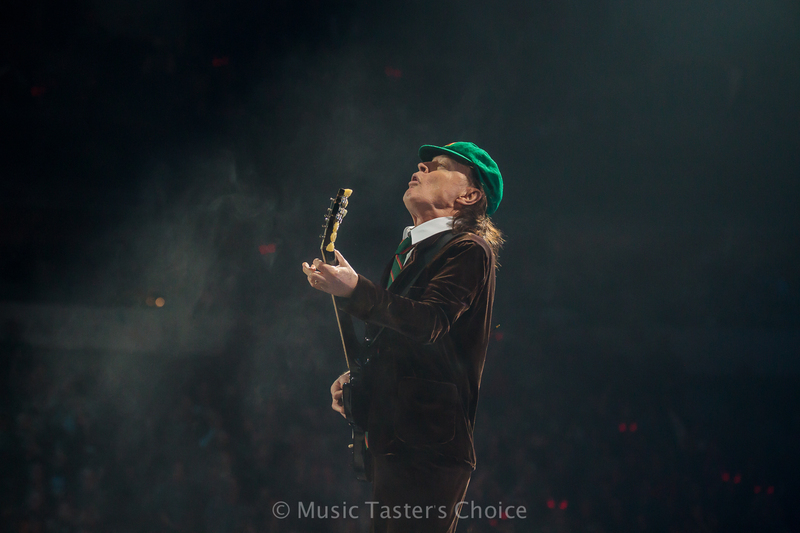 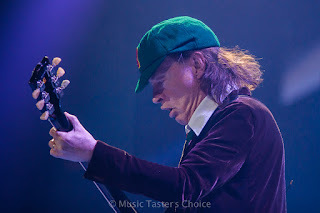 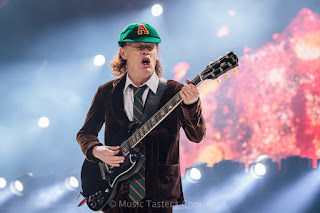 After a short intro video played on the huge screen behind the massive stage, the pyrotechnics came booming and flashing and Angus Young's guitar blared through his amp and filled the American Airlines Center with sonic bliss. 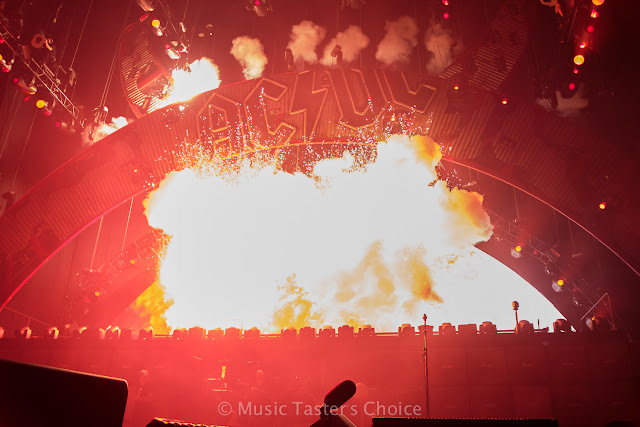 Opening with "Rock or Bust", the opening track to last year's album of the same namesake, the Down Under rockers sounded crisp and loud. 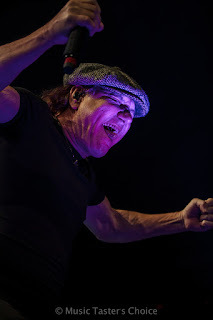 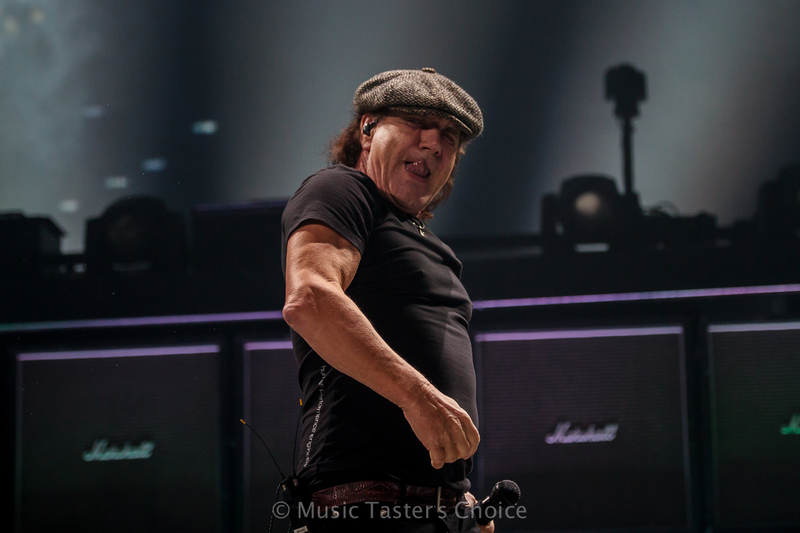 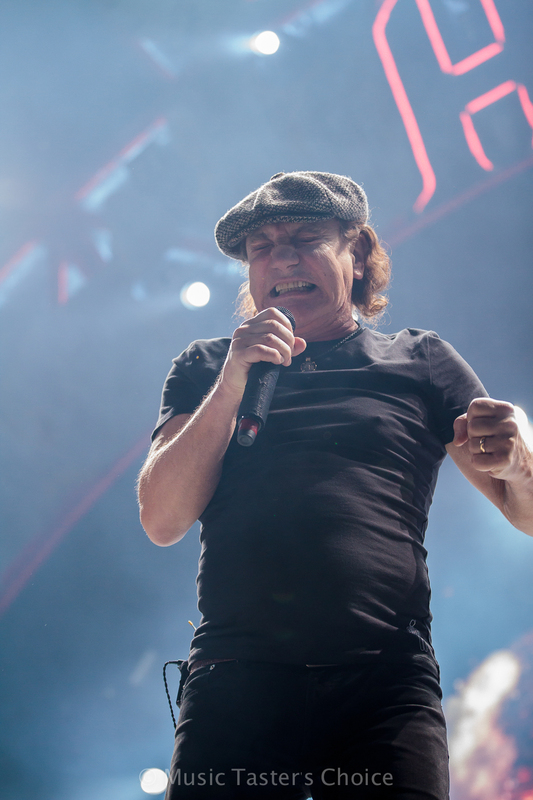 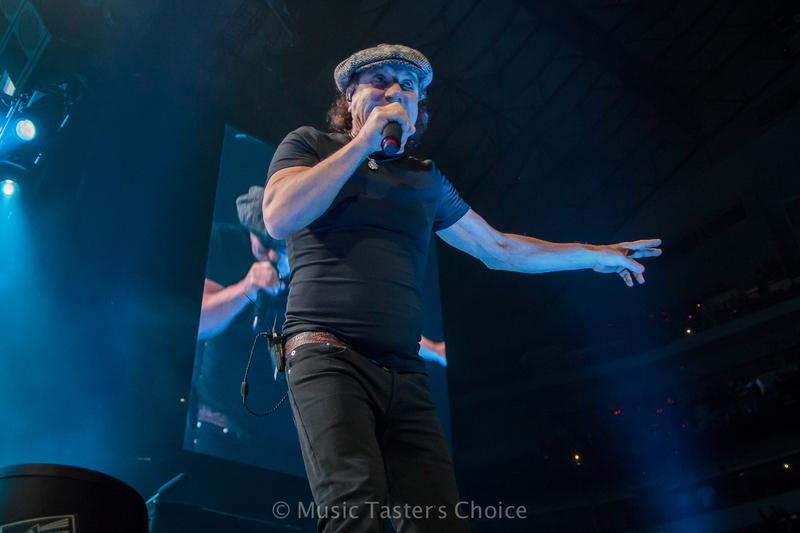 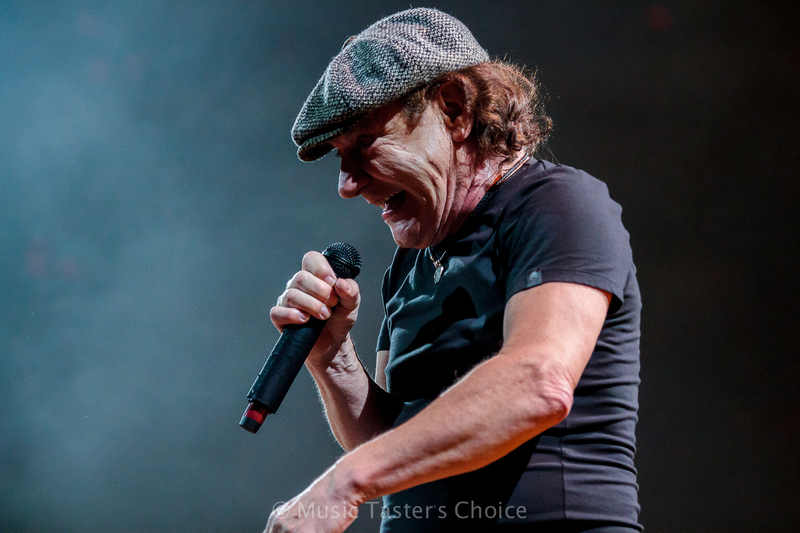 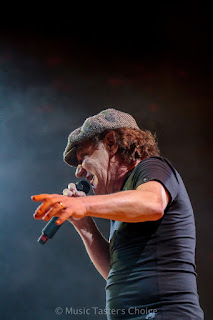 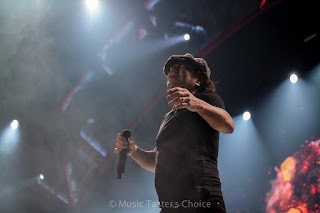 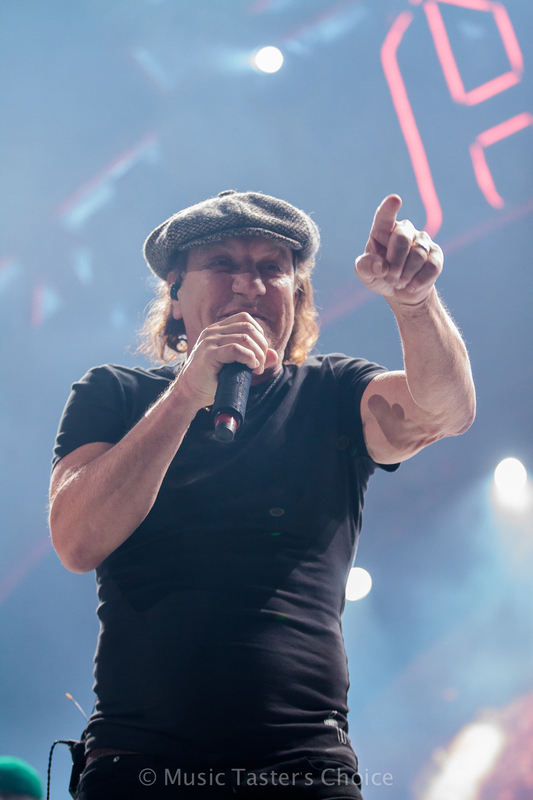 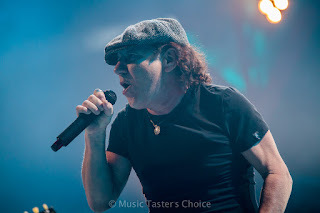 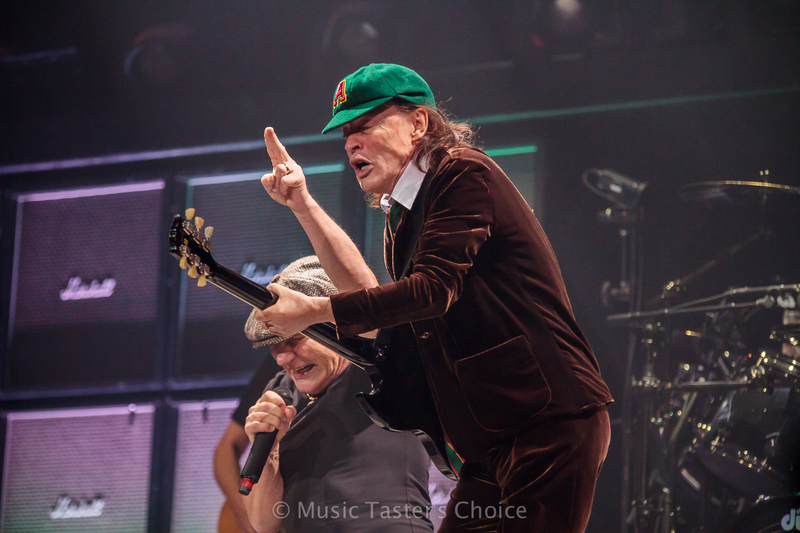 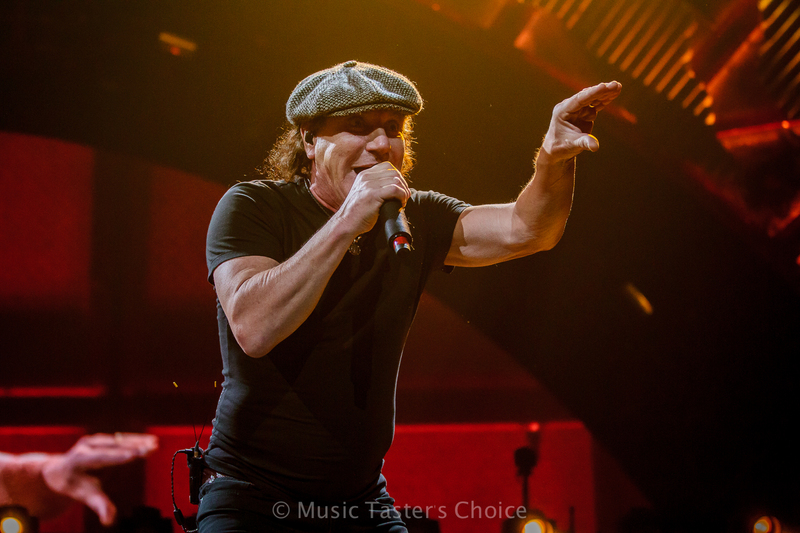 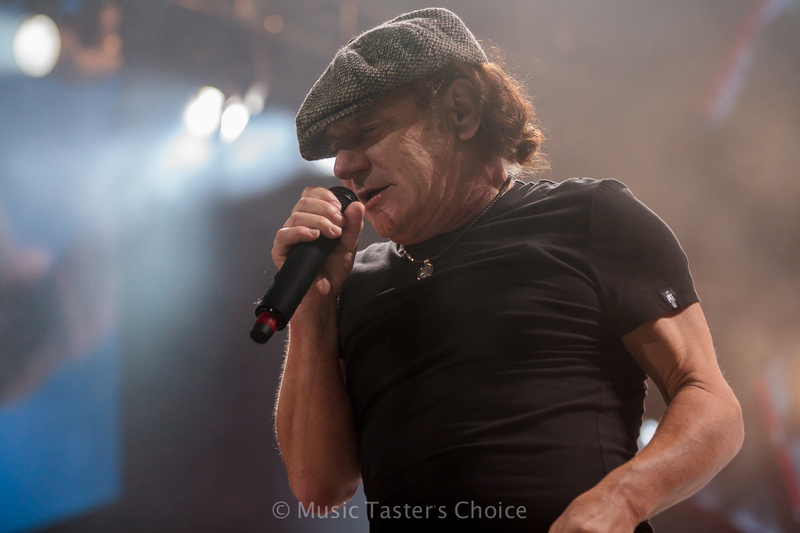 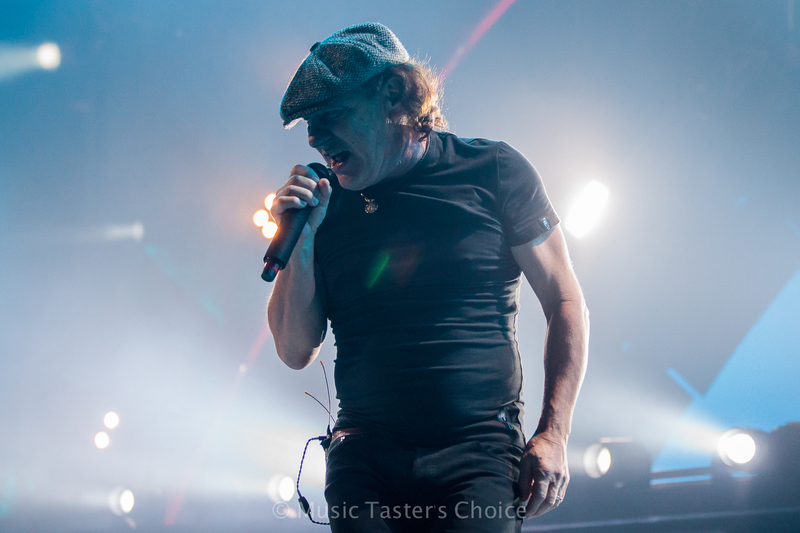 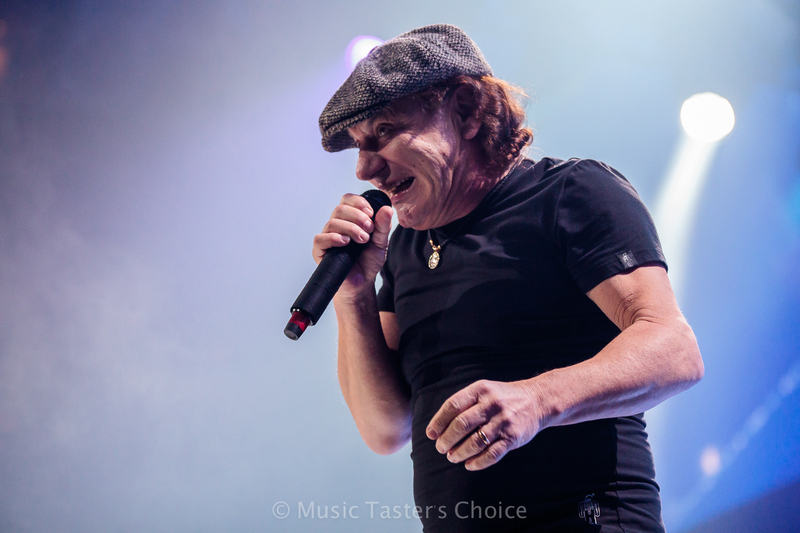 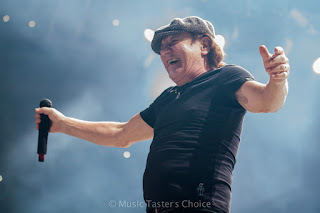 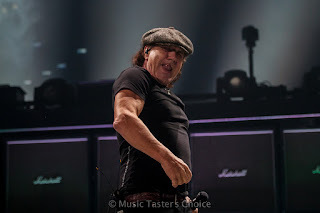 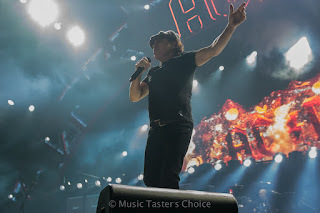 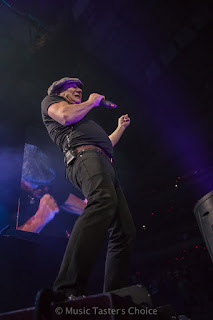 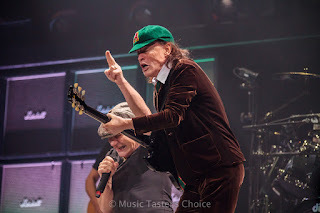 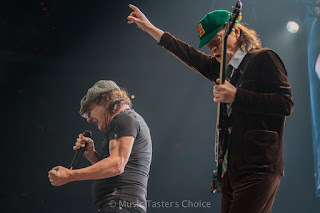 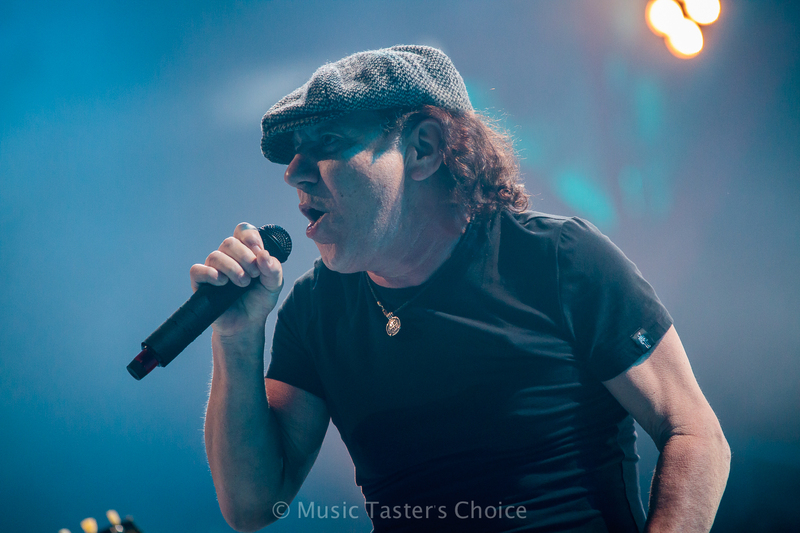 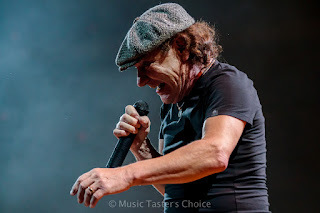 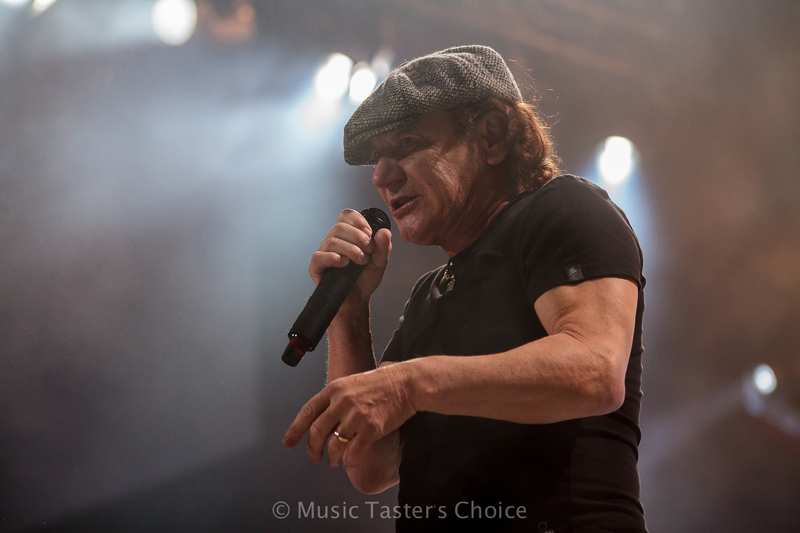 While Brian Johnson's vocals aren't what they used to be, that in no way took away from his performance, belting out raspy lyrics to some of rock's most recognizable songs. 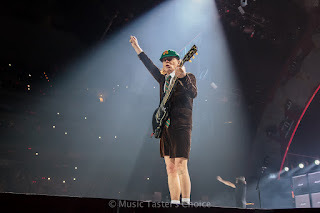 Johnson and Young roamed all corners of the stage and made their way out towards the middle of the arena at times, with Young showing off his duck walk in his signature school boy outfit. 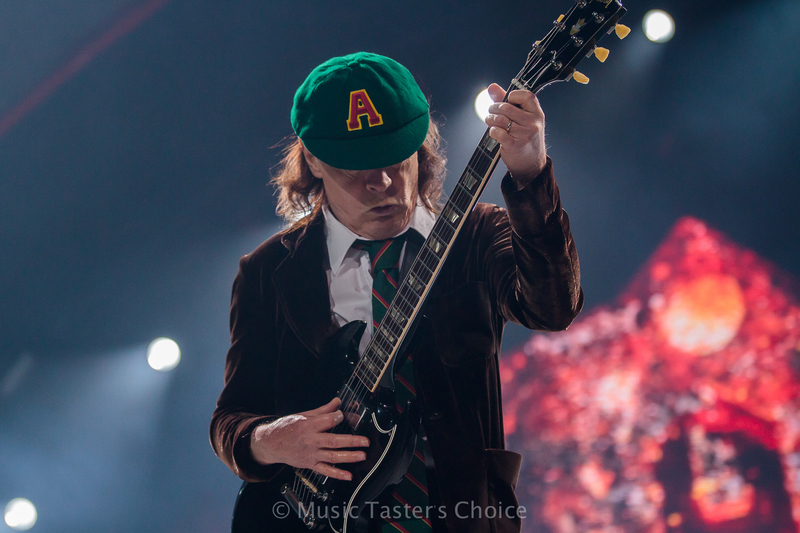 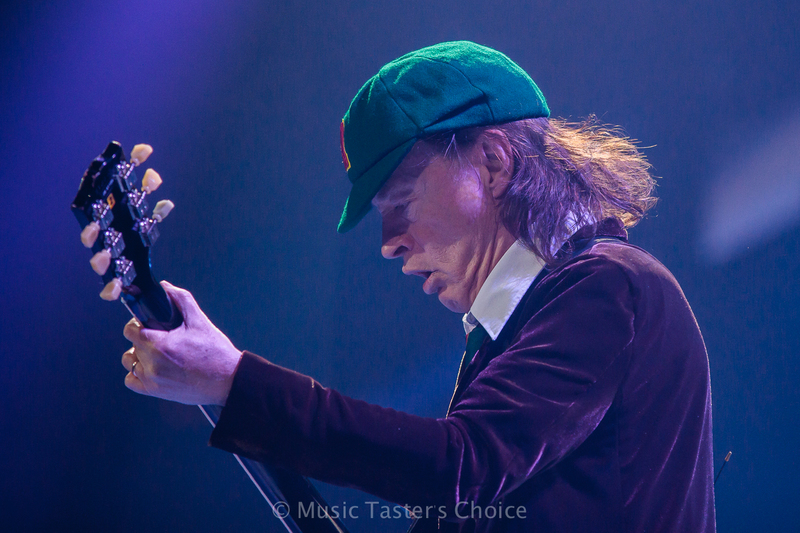 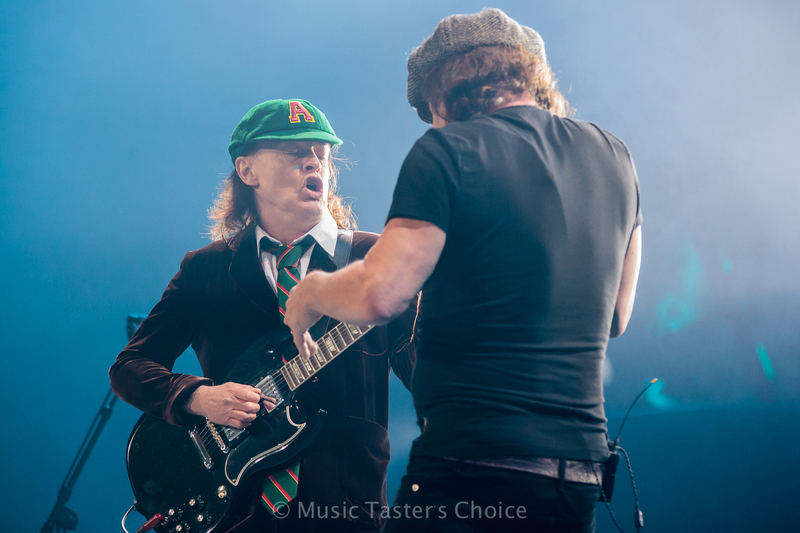 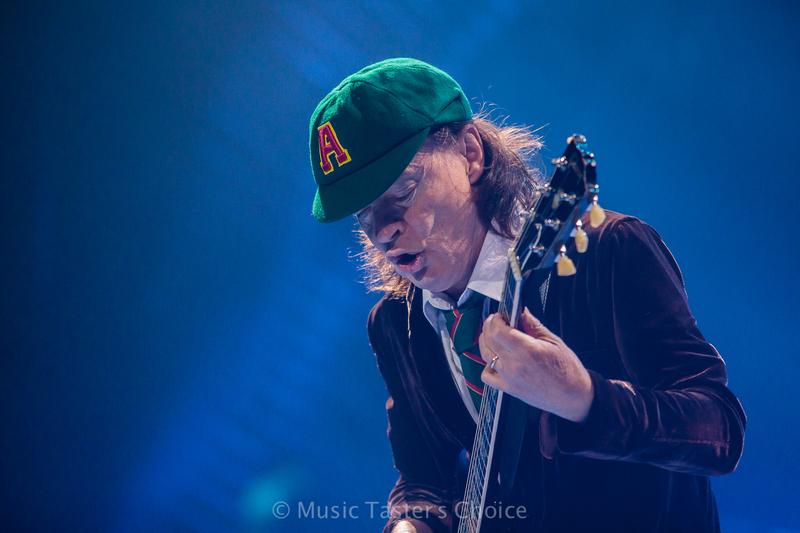 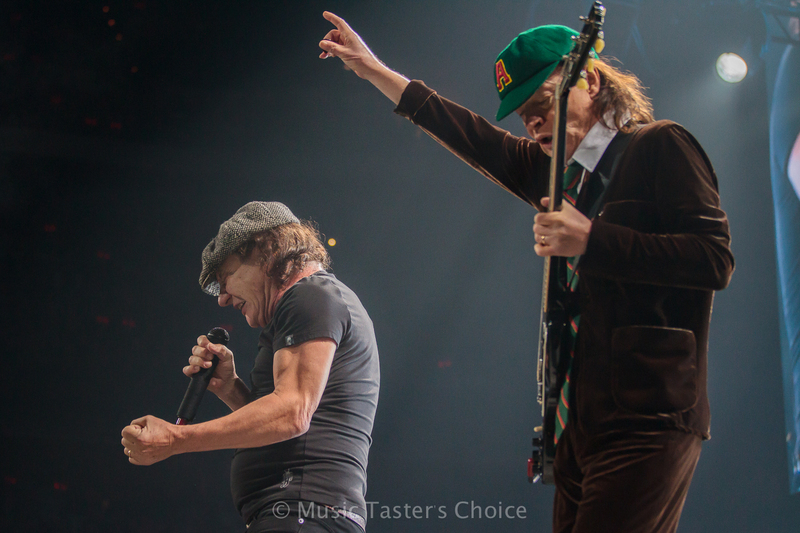 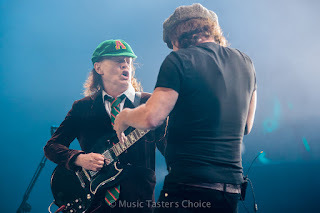 Having never seen AC/DC live before, it was all a pretty spectacular sight. 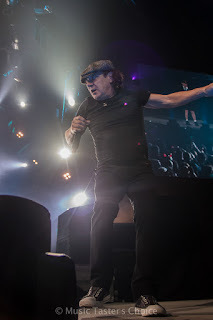 The first three songs in the photo pit were a blur but it was awesome to see these icons in the flesh. 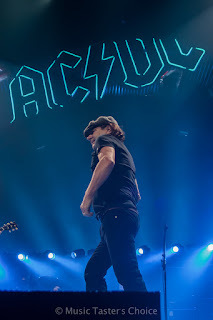 Next time (please Lord, let there be a next time), I'll have to buy a ticket and watch the entire set.